It’s not easy to step into the middle of the third season of any series and immediately “get it”, let alone a show set in an elaborate world full of meticulously kitted-out characters, but producer Trip Hope set me up with some context. The story spans four distinct time periods and locations, each evoking a unique Western feeling. The most elaborate set piece is Buffalo Bill’s Wild West Show, which is shown in one continuous minute-long shot featuring nearly 20 performers, fire breathing, juggling, stunts, and more. Most of the scenes were shot in low light, relying solely on campfires, lanterns, and ambient moonlight, which gives the image a unique, naturalistic quality. The steampunk aesthetic isn’t really my thing, but show me something like this – a creation of exuberance and fun that displays a high level of care, effort and craftsmanship – and you have described the abstract “super-thing” that encapsulates all the stuff I really like. When you care so much about the quality and detail in a 10-minute episode of the web series you do for fun that you build your own rad-looking full body werewolf suit with glowing eyes, whether or not I “like” ornamental bracers or goggles on hats becomes irrelevant. Update 2015-06-25: I got a very nice follow-up email from Trip with some behind-the-scenes details that underscore the effort that went into this episode. 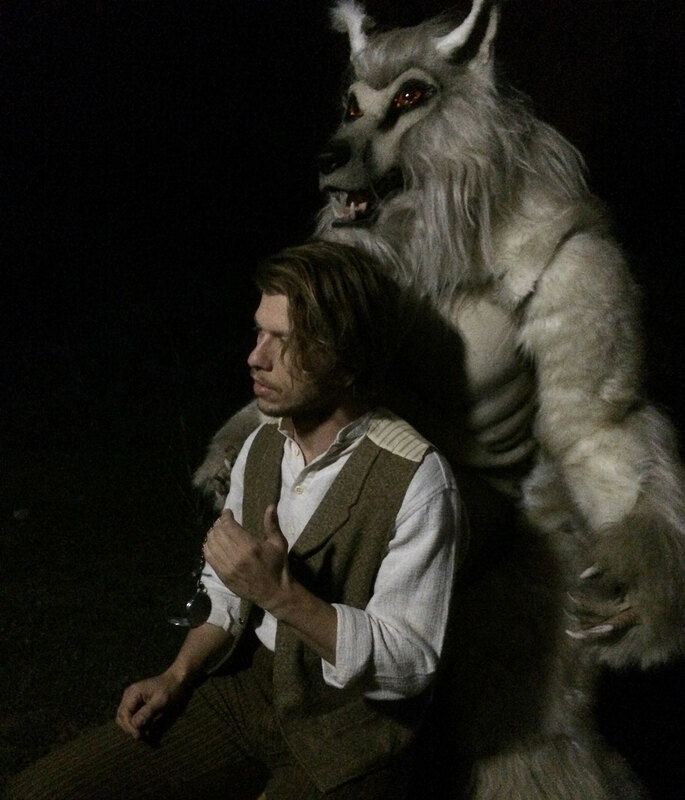 We literally spent 2+ months on the werewolf suit alone – and three full weekends of filming spread out over 4 months to get the locations we wanted. That’s real snow in the mountains, a real tiny cabin on wheels shot at a steam engine museum, and literally a remote desert location for the fireside encampment – not to mention, creating our own behind-the-scenes circus of tents with our friends who have some fun side show talents. I hope you got a “go make cool stuff” contact high off of that. I sure did!